"Be kind to yourself. What happens to you happens to everybody." This is the amazing "transmission" that one of my clients received during a session recently. Transmission is the best word I can think of to describe those times when it seems like some insight or wisdom is being downloaded to us from a higher source. As she received the insight, she was experiencing being in what she described as a kind of beautiful plasma that was everyone and everything—the One. I think her transmission, arising out of that amazing experience, is one of the best articulations of this essential concept that I've yet heard. 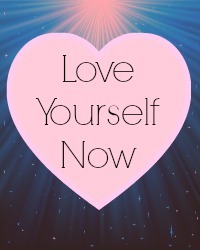 As I was discussing with my friend Peggy the other day, for many people it seems as if self-love is one of the later stages of development for the heart chakra. Many of us, especially in the Western tradition, can love everyone else a lot better than we can love ourselves. It's so deeply ingrained. It's in our relationship with ourselves that some of our last vestiges of judgement and unkindness and even cruelty can hide. Ever notice the rotten things that you say to yourself within the privacy of your own mind? Many of us call ourselves all kinds of terrible names that we would never direct at someone else. I think we treat ourselves without self-love, self-respect and self-esteem partly because we can't yet see or experience how profoundly and utterly we are all one. "What happens to you happens to everybody" because you ARE everybody (and everybody is you). In a very real way, there is only one Heart, one Consciousness. Whoever you are, you deeply, truly and completely deserve love and kindness from every possible source. But there's more to it than even that. By being kind to yourself, you are raising the sum total of love in the world and finding a way to love humanity at a deeper, more complete level. Because in a holographic kind of way, you ARE humanity, and until you can regard and treat your own self with loving-kindness, your loving-kindness is incomplete. What does being kind to myself mean to me? How does the phrase make me feel? How does my physical body respond to it? Can I make a commitment to become more conscious of ways that I am unkind to myself in actions, speech and thought? Can I see, at least intellectually and abstractly, that I am as as worthy of love and kindness as anyone else? Can I see, at least intellectually and abstractly, that I want those I love to treat themselves and think of themselves with kindness? And can I then see that they want the same for me? Can I feel commonality and compassion for all of us who share this experience of lack of self-kindness, without excluding anyone, without excluding myself? Can I feel the oneness (or at least the something larger) behind my personal identity? Can I sense that all love is the same—that there is only one Love, and it is that same Love that is in and that connects each and every heart? Can I feel my heart as the heart of the universe, knowing that everyone else's heart is also the heart of the universe? What would being kind to myself look like in my life? In my thoughts? In my speech? In my actions? Can I make a commitment to breaking old habits and incorporating some of these kindnesses into my daily life? Can I forgive myself for however imperfectly or incompletely I may understand and work with and implement these queries? 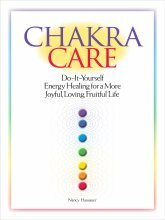 Return from Self-Kindness to Energy Healer Self-Care main page. Return to Heart Chakra page.